UFood Grill is excited to share that we have been recognized as one of 20 Unique Restaurant Franchises for “Foodie” Business Opportunities. 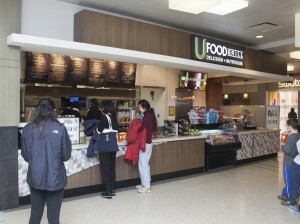 A healthy, fast casual restaurant chain, UFood Grill offers salads, sandwiches and more foods made with fresh ingredients. The company currently has available markets in several states, mainly those near the East Coast. The overall initial investment can range from $430,000 to $643,000. The full article compiled by Annie Pilon is at Small Biz Trends.